Mountain Drop-offs offers VIP and private transfers to and from Geneva’s main downtown train station directly to and from the main French and Swiss alp resorts. 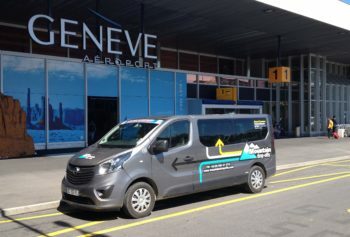 Or you can hop on a train to the airport (they run every 10-15 minutes and take just 8 minutes) and get your usual MDO shared transfer from Geneva Airport. And of course, our transfer service runs all year round. Travelling from London to Geneva Cointrin by train takes around 6hrs 15mins. It’s Eurostar from St Pancras, then a change at Lille on to a TGV Lyria service, which will bring you straight to the heart of Geneva city centre. When you count how long before your flight you have to be at the airport etc, for many, the train could actually be quicker than flying! Many of us arrive at and depart from Geneva International Airport without even giving the city of Geneva itself a second thought. Geneva centre, which is actually only 4km away from Geneva airport, is easily accessible. If you thought Switzerland was all about cuckoo clocks, chocolate and secret bank accounts, then think again – it’s a multi-cultural vibrant city that is bursting with culture and history as well! Geneva is a truly global city, with a number of international organisations present including the World Health Organisation, the Red Cross and the United Nation’s ‘Palais des Nations’, which you can actually visit. No wonder the city is dubbed ‘Peace Capital’. Even the science geeks get a mention, with the CERN physics laboratory and research centre, where English scientist Tim Berners-Lee invented a little old thing they called the World Wide Web. The lake is one of the largest in western Europe and the city centre has grown around the point where the River Rhone exits Lake Geneva (or Lac Léman as it is in French). When you fly in to and out of Geneva Airport, the flight path either takes you over the picturesque Jura mountains, or over the lake. Passing France’s lovely medieval Yvoire, whilst flying along the middle of the lake certainly for a truly stunning approach to landing. If your flight path into the airport does take you over Yvoire, look out for the luxury lake-side villas with private swimming pools and enjoy a sneaky aerial peak of Geneva’s famous landmark the ‘Jet d’Eau’ water fountain that propels water up to 140m in the air over the lake. Geneva is quite a hidden gem, with lots of things to see and do if you look hard enough (it’s that Swiss discretion!). The old town (Vieille Ville) high up on the hill is very pretty, with the impressive St Pierre Cathedral and the Place du Bourg de Four with cafes, galleries, restaurants and boutiques. The area around Bel-Air (behind the busy main bridge called the Pont du Mont Blanc) is very bohemian and cool, with lovely little riverside bars with deck chairs on the river’s edge and music venues like Usine. Similarly, the Planpalais area has a fab multi-cultural market with street food stalls galore, skatepark and playgrounds. On the other side of the famous Pont du Mont Blanc bridge, take a lakeside walk past all the posh hotels and you’ll arrive at the lovely Botanical Gardens. 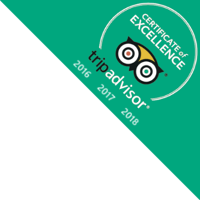 Filled with stunning flower and plant displays as you’d expect, it’s also a great place for kids to play and have something to eat in the restaurant. Culture vultures will love the likes of the Patek Philippe Museum in the ornate headquarters of this luxury Geneva-based master watchmakers. Modern art is superbly represented with the Musee d’Art Moderne et Contemporain in a very funky industrial-style building. And a great ‘rainy day’ option is a visit to the Musee d’Histoire Naturelle that the kids will absolutely love. Geneva city is full of arts, culture and museums with fetes and festivals all year round, so it’s no surprising it has been voted one of the best short break locations in Europe. There’s always lots going on. Yes, it’s an expensive city, but many of the events are free and entry to most of the museums is free too. Even those have paid entry open their doors for free on the first Sunday in every month. Head to the Promenade Saint-Antoine to sit down and eat street food in conviviality! Big long benches and tables set up on this lovely pedestrianised avenue between the old town and the Museum of Art and History, mean everyone eats together at this fab foodie festival in mid June every year. Well worth a visit. Towards the end of June every year, a full weekend is dedicated to all things music in Geneva. At venues across both the Rive Droite and Rive Gauche of the lake, there are concerts (all styles of music), spectacles and workshops for all ages to enjoy. It’s all free, so well worth checking out. Organised by the City of Geneva, this is a summer-long programme of live music at some lovely venues around Geneva. From the beginning of July to August, the emphasis is very much on classical and jazz music, so it’s all nice and relaxed and chilled. Concerts take place at places like Parc de la Grange, the Town Hall courtyard and Victoria Hall. Ticket prices vary. The 1st August is Fete Nationale and the whole of Switzerland parties hard. None more so than the city of Geneva, where Parc des Bastions hosts the celebrations. The programme changes every year, but it inevitably involves lots of food, drinks and some big, big fireworks by the lake. Oh and it’ll be a very late night for all involved too! More partying on the lakeside in Geneva! Spread across the first two weeks of August, there’s a packed programme of events including shows, workshops, events, games, spectacles, live music and plenty of parties on the Geneva beach late into the night. Once again, Geneva shows it can party, but this time with its feet in the water! The idea of this film festival held in early November, is that it combines cinema, television and new media to celebrate the role of the image maker and film maker. There are lots of events to watch and take part in, many of which are at the hub of the festival, that’s to say the Theatre Pitoeff in the bohemian Carouge area just outside Geneva centre. On the first weekend of December every year, International Supercross comes to the Geneva Arena near the airport. A special motocross circuit is built inside the huge arena and the sound of two stroke mx bikes fills the air. Be wowed by the incredible freestyle skills of the riders over the big jumps. A great spectacle. This weekend in early December commemorates the day the Ducs de Savoie soldiers clashed with the Genevans. Expect canon fire, battle re-enactments, marches, fires and all sorts of traditional stuff going down in the heart of the old town. So there you have it. On the face of it, Geneva might not be the most exciting city break destination, but dig a little deeper and this discreet lakeside city will open up its world of music, food and culture for you. If you’re booking a winter ski or summer mountain holiday to one of the nearby alpine resorts, why not bolt on a couple of days in Geneva at the start or end of your stay and let Mountain Drop-offs take you there?